After acquiring the Pearl and Marina Splatoon 2 amiibo when they first released, I was left thinking how best to display them. I had the Callie & Marie amiibo from before, along with some other Splatoon amiibo and then it occurred to me. I shall make a Splatoon 2 amiibo Concert display. Well making a display is easily done if you are an artistically creative person. I however am not but fortunately there is a Splatoon diorama on the market that meets my requirements. I had to order it via Japan though and finally after about 10 days of waiting, my Splatoon Concert diorama had arrived. 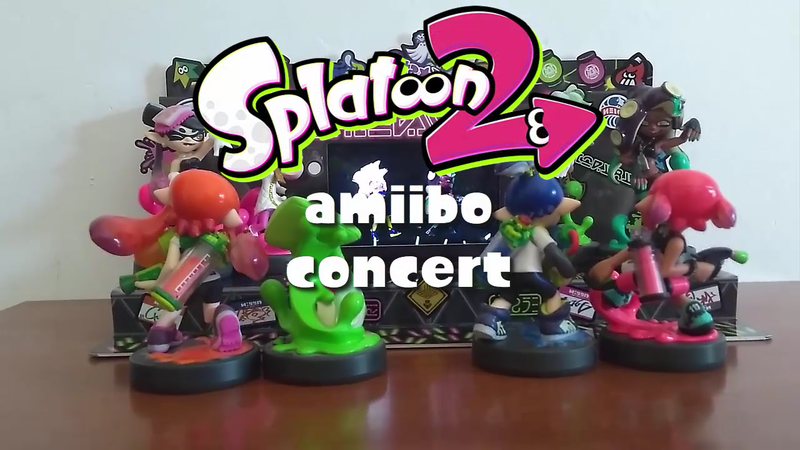 Of course, you can’t have a concert without music so I did put together a video of my little Splatoon 2 amiibo Concert. If you would like to see it, you can check it out below.